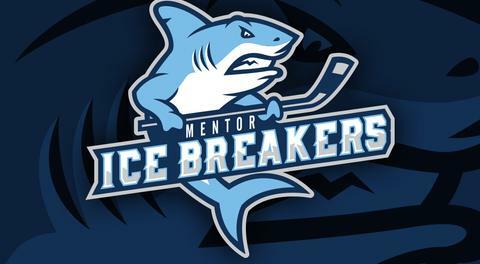 Winston-Salem, NC—The Carolina Thunderbirds logged consecutive victories over the Mentor Ice Breakers on Friday and Saturday to clinch a series win in the three-game set between Mentor and Carolina. The two clubs are back in action on Sunday afternoon to wrap up the series. The opening contest proved to be a lopsided affair after a back-and-forth opening period saw the Thunderbirds jump out to a 2-1 lead. 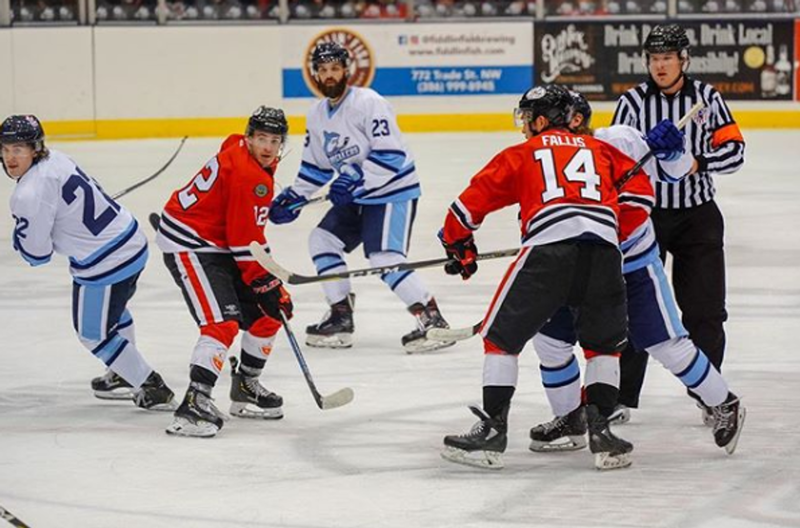 The Ice Breakers lone goal in the first frame came courtesy of Joe Swenson, who netted his third of the year directly after his former Rochester College teammate, Matt Kadolph, won a faceoff in the Carolina zone. The T-Birds blew the game open with a second-period assault of four unanswered goals. Carolina’s leading scorer, Jan Salak, gave his team a 3-1 lead just 45 seconds into the period on the power play before Viktor Grebennikov made it a 4-1 game at 8:32 of the period in his first game back from an extended absence. Grebennikov would later go down with what looked to be a serious knee injury after losing his footing and colliding into the boards near Carolina’s bench. Salak scored his second of the period at 12:17 before Jay Kenney fired a slapshot and beat Ice Breakers netminder Derek Moser through the five-hole to cap off the Thunderbirds’ high-scoring frame and give the Thunderbirds a commanding 6-1 lead at the second intermission. The game settled down in what was mostly a quiet final period. Defenseman Thomas Devesvre, playing in his first game following nearly a month-long hiatus due to a lower body injury, scored Mentor’s second goal of the night on the power play off feeds from Patrick Porkka and Gordy Bonnel, who pushed his franchise-record point streak to 15 games. Carolina’s penalty kill operates at a league-leading 92.1 percent clip, so it was notable that Mentor’s third-ranked power play was able to convert. Thunderbirds captain Josh Pietrantonio scored the final goal of the game shorthanded 50 seconds after Devesvre’s tally, restoring Carolina’s five-goal advantage. The third-year veteran had a productive outing, dishing out three assists in addition to his goal. Carolina held a 39-33 advantage in shots as it cruised to its 18th consecutive win. Moser made 32 saves for Mentor while his counterpart, Christian Pavlas, earned his league-leading 16th victory of the year with a 37-save effort. Mentor gave Carolina all it could handle on Saturday evening at the Winston-Salem Fairgrounds Annex, but a pair of third-period goals propelled the T-Birds to their 19th win in a row, two shy of the FHL record. The Thunderbirds’ opened the scoring on a controversial goal late in the first period as Joe Cangelosi knocked a puck out of the air off a rebound from a Kenney shot. The Ice Breakers argued that Cangelosi played the puck with a high stick, but the score would ultimately remain 1-0 at the first intermission as Carolina led 16-3 in shots on goal. Seven minutes into the second period, Devesvre was called for tripping and the Thunderbirds headed to their first power-play opportunity of the night. With less than a minute to go in the Ice Breakers penalty kill, forward Declan Conway was sprung for a breakaway, but a diving poke check from Pavlas prevented the Painesville, Ohio native from getting a shot off. Bonnel, who was trailing Conway into Carolina’s offensive zone, picked up the loose puck to the right of the net and deked around Pavlas before firing the puck into the open cage to tie the game and stretch his point streak to 16 games. 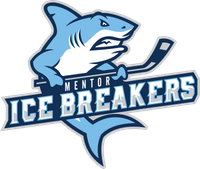 Shortly after, Mentor had a golden opportunity when Carolina’s Jiri Pargac was called for a five-minute major for boarding just 32 seconds into an Ice Breakers power play, resulting in 1:28 of a 5-on-3 advantage. Unfortunately for Mentor, the Thunderbirds vaunted penalty kill unit was quite effective and killed off the lengthy disadvantage. Towards the end of the second period, Carolina defenseman Mike Baker met with Ice Breakers forward Matt Kadolph in one of the better fights of the season. Baker held an early advantage before Kadolph was able to land multiple shots and the two were separated by the officials. The scrap resulted in a literal pool of blood on the ice that had to be cleaned up by arena staff before play was able to resume. The Thunderbirds broke through once again at 9:20 of the third period when Tommy Mahoney scored off a deflection that put Ice Breakers starter John Sellie-Hanson in a tough position. Almost exactly four minutes later, Salak provided an insurance goal on the power play to make it 3-1 in favor of the Thunderbirds, who would hold on despite the Ice Breakers generating some of their best scoring chances of the game in the final period. Sellie-Hanson had a quality outing, stopping 38 of the 41 shots he faced, but he took the tough-luck loss to fall to 1-4-0 on the season. Pavlas made 27 saves for Carolina, which leads the FHL with 85 points. Salak had a goal and an assist for the Thunderbirds for his fifth multi-point performance in his last seven games.